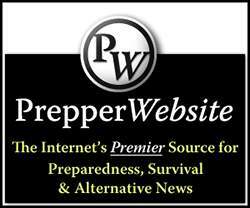 If you value preparedness you probably have most of the supplies you’ll need to survive pretty much anything that befalls you. The fact is, while there’s a huge variety of potential disasters most of them will hand you the same problems at a local level – disruption of utilities, a collapsed food supply chain and the breakdown of law and order. If you’re equipped to survive the aftermath of a natural disaster, you’re also equipped to survive a general strike or widespread rioting. Nuclear disasters are different. Whether it’s a power station meltdown or a nuclear attack, as soon as atomic power enters the mix things change. Imagine all the usual problems, like empty shelves at the store, nothing happening when you turn on a light switch or faucet, and gangs of unprepared people desperately trying to steal your stuff. Now imagine that this whole mess has been lightly sprinkled with radioactive dust. What makes post-nuclear survival so complicated is that your priority is still going to be dealing with the short-term, everyday problems like security, water and food. Neglect those and you’re not going to make it. However, neglect the nuclear danger and you’re not going to make it either – it will just take a little longer to become obvious. The big problem with nuclear radiation is that it can’t be detected by human senses, and its effects are cumulative; a small dose of radiation may be pretty harmless on its own, but a series of small doses can add up to a lethal one. Every exposure to radiation does some cell damage, and your body will only partly recover. 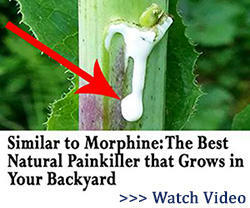 If you don’t give it some time between doses you can soon find yourself getting seriously ill. This means it’s important to do everything you can to minimize exposure. So how do you protect yourself from something you can’t see or feel? That’s why surviving a nuclear emergency needs a few specialist additions to your emergency gear. If you have the right items in your stockpile you’ll be able to avoid highly radioactive areas, see how much radiation you’ve been exposed to, protect yourself from further exposure and clean up any contamination that’s got onto you. Here’s our list of the top nuclear emergency survival items that every prepper should have. This is the classic radiation detector. A Geiger counter measures the ionizing effect of particles and waves, so it shows what the current radiation level is. Usually it displays this on a dial, and many of them also give an audible alert – normally a clicking sound that speeds up as radiation levels rise. Use a Geiger counter to warn you if you’re moving into a radiation hot spot. If you’re in a shelter, turn it on regularly to warn you if radiation levels are rising; if they are, use the counter to search for where the hazard is getting in. 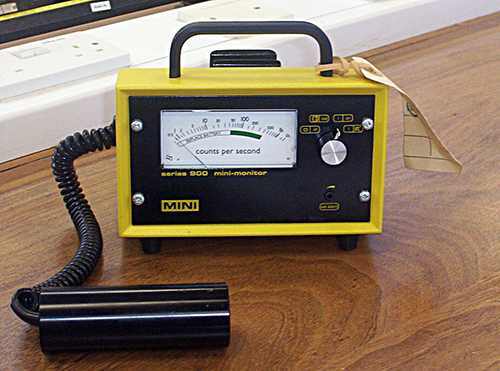 Traditional Geiger counters have separate measuring and display units connected by a cable; these are often used in nuclear power stations and by emergency response teams. They’re bulky and expensive, though. 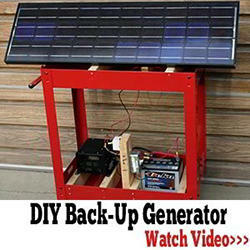 For personal use a hand-held unit is easier to carry and more affordable. Recently, compact Geiger counters have become a lot cheaper; you can now pick up a good one for less than $200. Many of these are based on Soviet military models, with a more modern casing and display added, so they’re robust and reliable. A Geiger counter measures the current radiation level; a dosimeter measures the total dose received, which is important because of the way radiation damage accumulates. During the Cold War the British Army issued a personal dosimeter that could be worn like a watch – but soldiers couldn’t read their own. The kit needed to read the dose was carried by section commanders, who would check their men’s radiation doses regularly. If your dosimeter was checked, and then you suddenly got “volunteered” for Operation Certain Death, it was pretty easy to guess that you’d taken a lethal dose and the Army wanted to get some more use out of you before radiation sickness set in. Modern civilian dosimeters are a lot more user-friendly. There are electronic versions available, but they aren’t guaranteed – or even very likely – to survive an EMP. The most reliable option is a simple wallet card with strips of radiation-sensitive film on it. Each strip is calibrated to turn dark at a certain total dose, so you can easily keep track of how much exposure you’ve had. These cards are less than $20 on Amazon, and everyone in your group should carry one. It’s inevitable that things will need to be done that expose someone to radiation, and dosimeters let you make sure nobody is heading towards dangerous total doses. Nuclear fallout is particles of dust that have been irradiated and mixed with materials from the bomb. It isn’t just plutonium dust; there are many different radioactive substances in it, and one of the most dangerous to humans is iodine-131. This tends to collect in the thyroid, then sit there emitting radiation. The solution is to pre-dose the thyroid with harmless, non-radioactive iodine. It only has a limited capacity, and if it’s already picked up all the iodine it can hold, the iodine-131 won’t be absorbed. What you need is a supply of potassium iodide tablets. iOSAT tablets deliver safe iodine at a controlled dose, approved by the FDA for use after radiation emergencies. 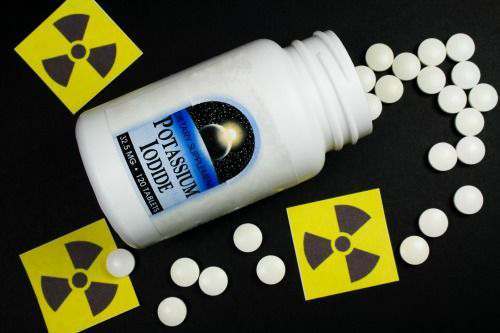 Potassium iodide tablets will give you good protection if you start taking them as soon as there’s a nuclear emergency, but if the environment is already contaminated you could still pick up some radioactive iodine. If you think a nuclear attack is likely, start taking the tablets before it happens to get maximum benefits. The tablets are completely safe for anyone who isn’t specifically allergic to iodides. If you can’t get iOSAT tablets, try to add a lot of iodine-rich foods to your diet. Good sources of the chemical include fish, dairy and eggs. Use iodized salt when you’re cooking. Activated charcoal. This is a bit of a miracle substance. In a filter it can help remove fallout; as a diet supplement it can trap radioactive substances in your body and help eliminate them before they’re absorbed into your organs. 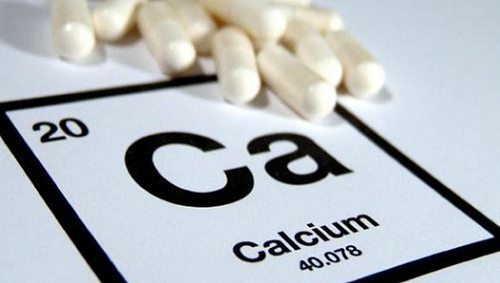 Calcium supplements. There are radioactive forms of calcium, and they’re often found in fallout. Taking supplements will help to block them from being absorbed into your teeth and bones. Calcium can also block strontium-90, a very dangerous element in fallout. 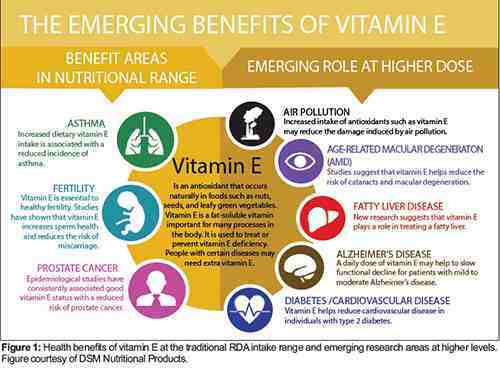 Vitamin E. This is a chelating agent – it binds to other chemicals and helps your body remove them. Chelation therapy is a common form of crank medicine, and some people claim it will help with “detox” diets and other forms of woo. It won’t. 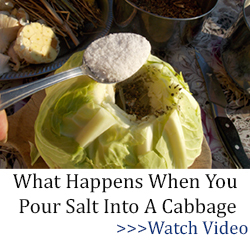 What it will do is help your body get rid of heavy metals much more quickly – and some of the worst substances in fallout are radioactive heavy metals. This can also bind to heavy metals and help your body eliminate them faster. The chances are you’ll end up ingesting some fallout, unless you can stay in a military-grade shelter; the quicker you get it out your system the less radiation you’ll absorb. Anything that claims to be a homeopathic or holistic remedy for radiation is snake oil, but the cranks who sell it expect to make a lot of money from frightened people trying to be prepared for the worst. Spend your money on these basic supplements instead; they actually work. After a nuclear attack or power station accident, the only water you can rely on is what you already have stored in sealed containers. Fallout will quickly contaminate lakes and rivers, and won’t take long to make its way into ground water. Once it’s in the water it’s very difficult to get rid of, and eventually your supply is going to run out. Boiling contaminated water won’t help. Fallout isn’t like a bacteria or virus that can be destroyed by heat; it’s a chemical problem. Luckily there are ways you can remove most, but probably not all, of the radioactive substances from contaminated water. Most of the danger will be from particles of fallout suspended in the water. A standard filter will get rid of these – although it’s radioactive it’s still basically dust, and a filter will take it out. You need to be careful though, because fallout will accumulate in the filter and it will quickly become a radiation hazard. Change filters every ten gallons and dispose of them – either bury them or, if you’re in a shelter, throw them outside. You can use a commercial filter jug or home-made filters; as long as it’s fine enough to remove any dust, it will do the job. Unfortunately, some radioactive isotopes will dissolve in water – and, if they’re dissolved, a standard filter won’t get them out. 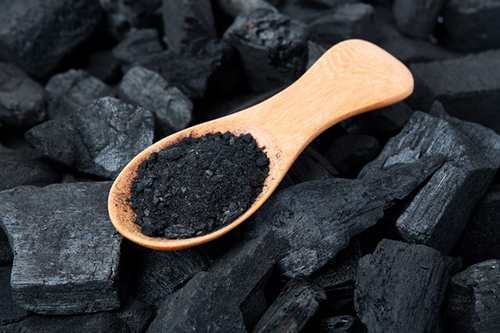 An activated charcoal filter will be more effective; a large percentage of the dissolved chemicals will be caught in its pores. It won’t be 100% effective, but every atom you can remove from the water will help. 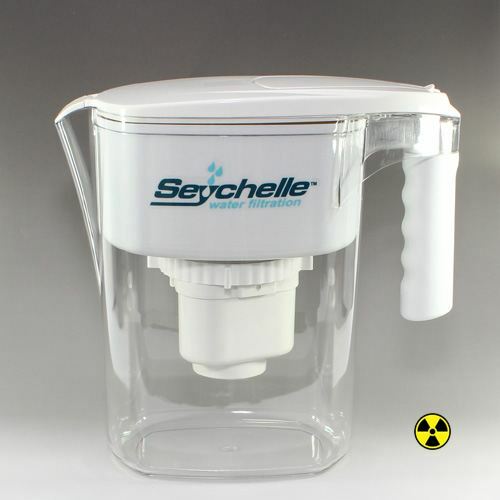 An alternative, specifically designed for radiation hazards, is the Seychelle filter jug. This works just like a normal filter jug, but the filter cartridges have extra inserts to absorb some of the most dangerous radioactive substances. 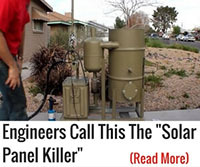 It’s up to 99.99% effective against radioactive metals like plutonium and uranium, and will also get rid of high percentages of other chemicals. In fact it can bring fallout-contaminated water down to near normal radiation levels. Just remember that, like any other filter, the cartridges themselves will soon become radioactive and will need to be disposed of. If you need a portable filter Seychelle also make a bottle version. This is just as effective, but it filters the contents as you pour them out, so you could be carrying a bottle of radioactive water around with you. Inhaled fallout is probably the most dangerous, because it gets into your delicate lungs and bombards them with radiation. A gas mask will keep it out. Even a bandanna wrapped round your face will help reduce the risk, but for the best protection get a military gas mask. The best military gas mask is the Scott Safety General Service Respirator, or GSR. This is British, and most military experts think the UK is the leader in NBC defense. It’s available in four different sizes, with 1 being the largest; size 2 fits most average-sized people. If you can’t find a GSR then its predecessor, the Avon S10, is a good alternative. 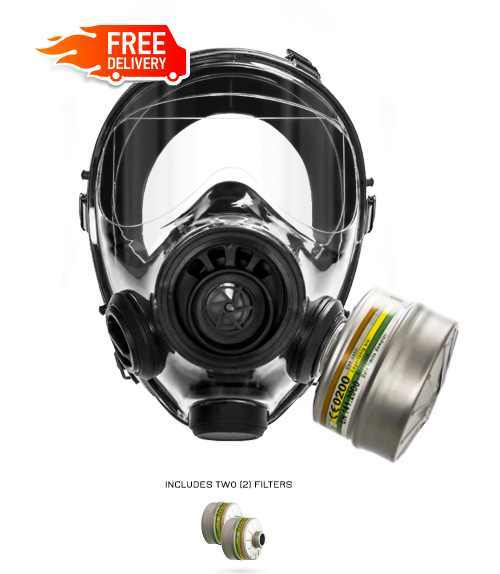 Both these masks use very effective filter canisters that will completely remove all fallout from the air before you breathe it in. If you’re outside in a fallout-contaminated area you’ll need to change canisters every 24 hours – and the used ones will be radioactive. The S10 can use any canister with a NATO 40mm thread, and there are plenty of these on ebay. Even a life-expired canister will protect against fallout – it’s their effectiveness against chemical weapons that deteriorates – so you can stock up on cheap, older ones. Most US military masks, like the M40 and M50, will not take NATO canisters, and US canisters can be hard to find. Fallout that gets on your skin, or is trapped in your clothes, will also be giving out radiation. It’s best to keep it as far away from your skin as possible, and you can do that by wearing an outer layer that won’t catch dust. Again, a military NBC suit is perfect – get the British Mark IV suit if you can, with the current US MOPP suit as second choice. If you can’t get hold of NBC suits, don’t panic. Any waterproof outer layer will help you shed radioactive dust that would get trapped in normal clothing. Disposable rain ponchos are great – they’re small, light and cheap enough that you can buy dozens of them, wear one every time you have to go outside in the fallout, then as soon as you get back to your shelter throw it out the door. Rubber boots won’t pick up as much fallout as normal shoes and are easier to clean. If you have to, wrap your footwear in heavy plastic bags to keep the dust off. Rubber gloves will keep fallout off your hands, which is important – if you’re working, dust can get into any small cuts or scrapes and be trapped in your body. It can even get under your nails. If you’ve been exposed to fallout, and you can shower, do it – but don’t scrub yourself, as that can work the dust into your skin. Just let the water wash it away. Otherwise, gently wipe down all exposed skin with towelettes. Normal wet wipes are fine; Radiacwash towelettes are more expensive, but specially designed for treating radioactive contamination. Again, don’t scrub yourself, just wipe away the dust. A well-built shelter will protect you from fallout, but what if it’s damaged by a nuclear blast or your ventilation system fails? If radiation – or actual fallout – is getting in, you need to stop it. That means having basic materials to carry out repairs. The minimum you need is heavy plastic sheet and duct tape. Add some sandbags, too. If your Geiger counter shows that radiation is coming through a wall, you can add some thickness with sandbags. That’s going to mean spending some time outside, but better to do that than be constantly exposed inside. If your shelter has a HEPA filtration system, make sure you have a stock of spare filters. These can get blocked up by heavy dust, or damaged by blast, so you need to have replacements. 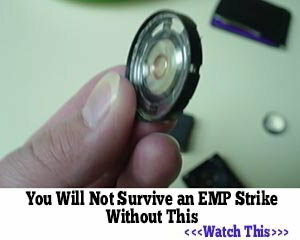 Also make sure you have a reliable power supply that won’t be affected by EMP. An unpowered backup ventilation system is good to have, but it adds more openings that could be damaged, so you need the materials to replace or block any broken sections. Direct radiation from a nuclear weapon isn’t a major worry, and indirect radiation can easily be avoided by not walking near the craters (the danger area is about twice as wide as the actual crater), but fallout is a serious hazard. It will take weeks for its radiation to fall to safer levels, and until it does you need the equipment and knowledge to protect yourself against it as much as possible. Unless you have a fully sealed underground bunker it’s unrealistic to expect to pick up no radiation at all, but some pretty simple gear will let you cut it to a minimum, leaving you and your family in good shape to start getting on with your lives once it’s safe to come out again. Those recent hurricanes hit close to home and helped get my childrens’ spouses on board. My own kids have heard it all their lives and are just bored with the topic. Good luck! That Dosimeter if i am not mistaken we used them in the Army and called it a Radmeter. You just held it up and looked through it like a scope. They will show a reading inside an Abrams. About 2 months ago is was going through my house doing some rearranging and i came across a flight bag that contained 2 pistol belts, 2 canteens, first aid pouches with cravats and bandages, 2 M-16 ammo pouches,duffle bag, some BDU’s, 1 complete MOPP suit, infantry style gas masks with 3 extra filters. And no body has any idea who put it i my house. So i said score and put into the prep closet. What a find! Too bad the S&W M&P .38 special wasn’t in the bag too. That would have made it a real find and the military .38 sp. would be worth some bucks. Correct me if I am wrong, but the bad part about fallout is that if you get it inside your body somehow, it will emit radioactive particles and those damage your cells and that can cause cancer. 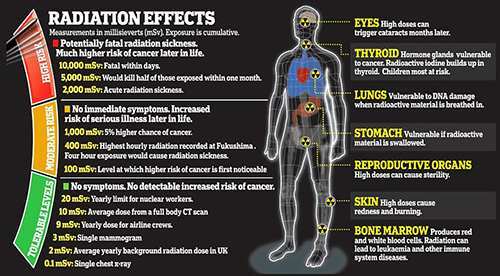 Likewise a non-fatal dose of radiation can also cause problems similar to getting many many x-rays. Again, this damages cells in your body and can lead to cancer. Cancer is when the stem cells in your body start to malfunction. The stem cells usually do all the repairs to cells but if damaged instead of repairing cells, they form malignancies which if your body is weakened sufficiently can cause cancerous areas, a.k.a. tumors. The optimum piece of information here is if your body is not healthy enough to fight off these stem cells that are not working properly you will get and eventually die from cancer. Dealing with cancer as a dietary problem is thee way to look at fighting cancer caused by radiation. There are several ways of combating cancer naturally. One sure fire way is using natural substances that contain large amounts of nitrilocide/amygdalin in them. Eating these nitrilocide-rich foods will make your body strong enough to fight any cancer caused by over-exposure of radiation. If you want to ensure you have enough nitrilocide/amygdalin in your system you should eat foods rich in this substance and look at eating apricot kernels or even better, taking, as a supplement, a vitamin commonly known as B-17. Go to the website 1cure4cancer.com and read about this substance and learn that it is found in thousands of foods occurring naturally in nature. Chuck, sorry, but you are wrong. Apricot seeds contain cyanide. Cyanide was the favorite fast acting poison that the Nazis used when they were about to be captured by the Russians. On the other hand, if you eat apricot seeds you will not have to worry about cancer because you will be dead as the proverbial doornail. Almost all seeds in the apricot family contain cyanide to a greater or lesser extent. That’s why your grandma told you to be careful not to swallow apple seeds. Ask Steve McQueen how the apricot seed therapy worked for him when he went down to Mexico to undergo it. I haven’t checked the website you referenced yet, but as I have tried to point out in the past, there are all kinds of “experts” who pontificate on the web without any basis for their opinion other than their own hot air. Desperate people will hang their hopes on anything if they are desperate enough. Anytime you read of some “cure” remember that the placebo effect is 30%, so any meaningful cure rate must exceed the 30% mark to merit the term “cure.” And in order to eliminate the placebo effect, a test must be a double blind test and the tester should be willing to reveal the test parameters and should not be reticent about who, when, where and what were the parameters and the testers and where were the results peer reviewed. Well I hope you won’t be too offended, but I have taken B17 for over 10 years with no ill effects and this last January, when my wife was diagnosed with Stage 3a Breast cancer with a KI-67 test result of 20% we immediately started her on 4000 mg/day of B17 and a diet depleated of ALL sugar and carbs for 60 days. At the end of that time her KI-67 was >5% and 28 days after that the KI-67 was less than 1% and at present there is no live cancer in her body anywhere…her oncologist is aware (not happy) but aware of her treatments and cannot believe the results and checks her monthly with blood tests to make sure her liver and kidneys are properly functioning…they are and she is now cancer free. So much for B17 and the killer cyanide. PS-Your body handles the cyanide perfectly well, it’s the cancer cells that don’t do too well with cyanide. PPS – Steve McQueen died from an infection he got in Mexico when he let them try to remove the dead tumor in his abdomen. It was so big he developed severe complications, returned to the US where he died a very short time later, but not from the cancer. If it works for you, that’s great and I’m happy for you and your wife. Apricot seeds do have cyanide, but it is bound up in a chemical chain that can only be broken at the site of a cancer cell. Cancer cells have their own unique chemistry. When released, the cyanide kills the cancer cell. All of my life [73 years] I have eaten the seeds of apples which have the same B17, but in lesser strength than apricot kernels. The information about cyanide in seeds was to scare people from natural prevention and cures. First: I am not a nuclear scientist. I don’t have a PhD in nuclear energy. I don’t even play a nuclear scientist at the local Little Theater. But, radioactivity has what is called a half life. That means for each type of radioactivity emitting substance, the radiation reduces by half for each period of time that elapses. That’s how they measure the life of very old fossilized trees and such. So after a release of radioactive particles from whatever source, the radiation doesn’t stay constant for x number of days and then drop to zero. The radioactivity of a substance starts to drop immediately upon release. One “expert” on this list stated emphatically with no ifs, ands or buts that you had to stay covered up for 40 days and 40 nights period. Well I think he had that confused with some biblical reference. Of course, if you remain in your fallout shelter for 40 days and nights, you will be safe from all but the most horrific radioactivity. However, when you exit your shelter, you will find that the other folks who did not shelter that long have managed to scavenge any supplies that might have existed after the radiological event and, interestingly enough, they are very definite in their refusal to share with you. How dangerous is radioactivity? We have all read about the dangers of radon in our homes and how we have to protect ourselves against it. People in this country spend big bucks to guard against radon in their homes. In 2001 I stayed at a hotel in Japan called The Radon Hotel. It was called this because the water in the hot springs that the hotel used for its water contained detectable levels of radon. The family all appeared heathy, including the grandmother who had lived at the hotel since before WWII. Now the Japanese, for reasons we all know about, are very paranoid about radioactivity. If any nationality has a reason to be fretful about radioactivity, it is they. Yet the Radon Hotel is very popular for the supposed curative powers of its radon contaminated hot spring baths. For some reason it did not cure me of my fatal disease — not fatal to me, fatal to other folks, I bore them to death. Do they know something we don’t? So, what should you take away from all this verbiage? In my opinion, after a nuclear attack, unless you were exposed to extremely high levels of radiation right after the attack, and are going to die shortly, thus solving all your problems, your big problem will not be getting cancer in 20 years. Your big problem will be surviving the next year. While it is well to be aware of the potential dangers of radiation poisoning, your immediate concern will be water that is not contaminated with nasty creatures that will kill you in 72 hours and getting enough food that will sustain you for the next 72 days and hopefully beyond. I don’t think an atomic attack that will contaminate the country with intense radioactivity is our biggest problem. What good would it do an attacking country if all the natural resources of the United States were unusable due to radioactivity? Any attacking country wouldn’t want to wait for ten years to utilize our natural resources, including the growing of food. I think the biggest real danger is the EMP attack which will release minimal radioactivity but will have, perhaps, an even deadlier effect on the county than the old fashioned Hiroshima type atomic bomb. Hi, East coast chuck, the problem is NOT ALL PEOPLE WHO HAVE NUCLEAR POWER ARE,,,SANE. They will not think rationally, like you do. They would not understand about the 10 years. 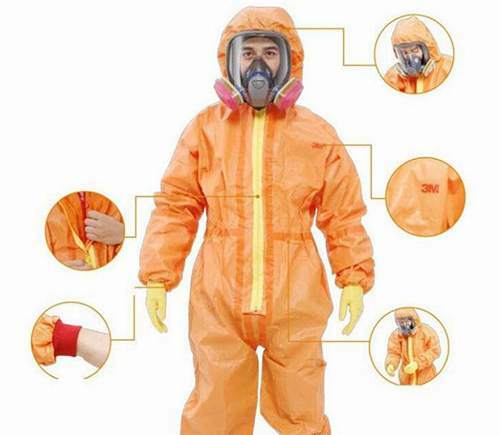 Would suits like what people use when painting, cleaning out dusty areas, working with machinery, etc. work as a protective suit? 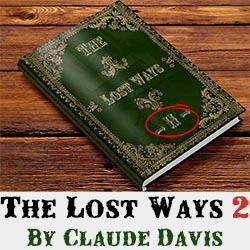 Something like this: https://www.amazon.com/dp/B07H5N9BQC/?coliid=IU09RZJJ4FZCJ&colid=30X4Q1Y4JTH3C&psc=0&ref_=lv_ov_lig_dp_it.